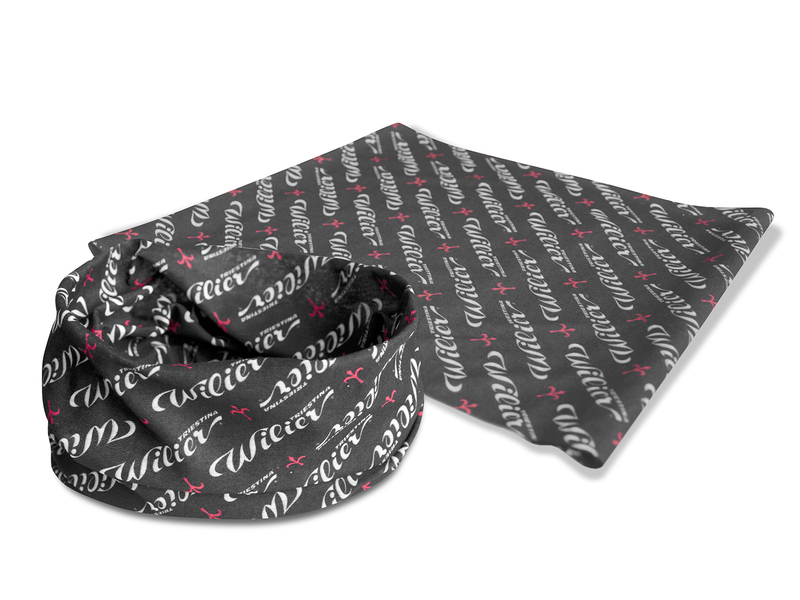 100% polyestere microfibreMultifunctional bandana consisting of atube of seamless fabric, in order not tocause discomfort and to ensure elasticityand multifunctionality. Those who makesport can wear it in many ways. Anaccessory fi t for all the sports: Cycling,running, tennis, beach volley, motorbike,skiing, snowboard, climbing, rock andmany others.